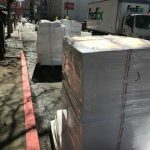 Three giant pallets of paella pans, ringed burners and accessories arrived Tuesday when it was 80 degrees. 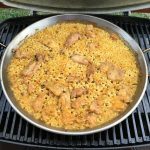 Great timing – warm weather is outdoor paella season! Now in stock are large carbon steel pans that serve 85 people (100 cm/40″), as well as enameled pans that serve 40 and 50 people. We’ve also restocked many of the medium and small size pans. We’ve got ringed burners to cook the paellas outside, ranging from professional units with triple rings, down to small burners that accommodate an eight-serving pan. We now carry assorted sizes of serving spoons, windshields and aluminum lids. And we have all of the essential ingredients for making paella: Spanish Bomba and Valencian rice, saffron, flavorful broths, piquillo peppers, and Spanish chorizo. 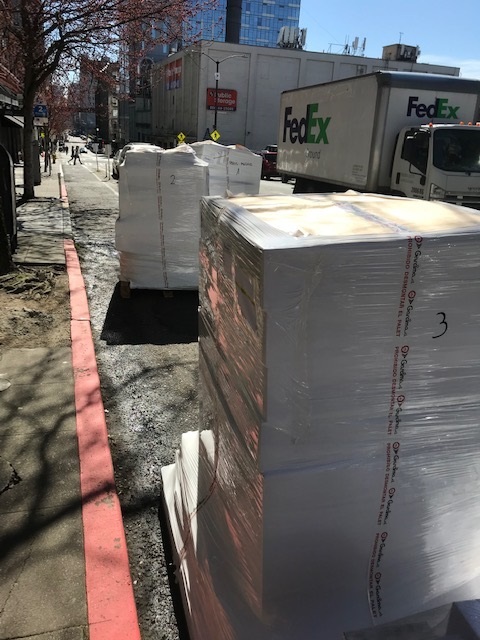 We bring in one shipment of paella equipment per year, so stock up now while we have the largest selection! 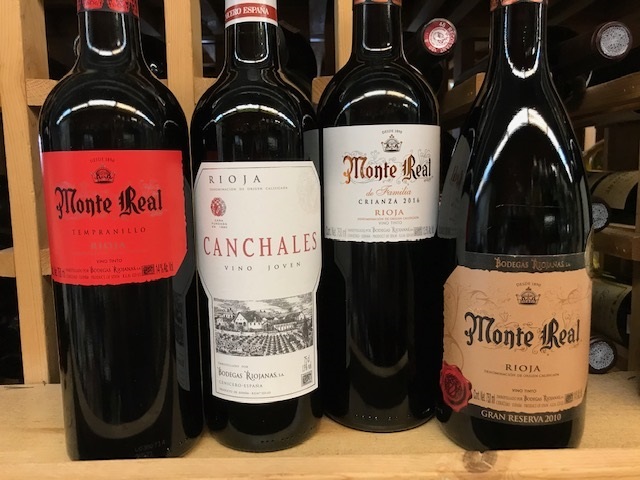 BODEGAS RIOJANAS TASTING IS THIS SATURDAY MARCH 23, FROM 2-4 P.M. Bodegas Riojanas, founded in 1890 produces traditional style Riojas which offer up brightness, silky fruit, and cigar-box spice at affordable prices. 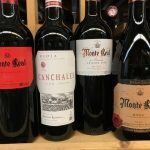 Our tasting will focus on their compelling red wines including the Monte Real and Canchales cuvées which are incredibly food friendly. These wines are excellent with paella, grilled meat, and charcuterie. Come in on March 23 to learn more and taste these wines! 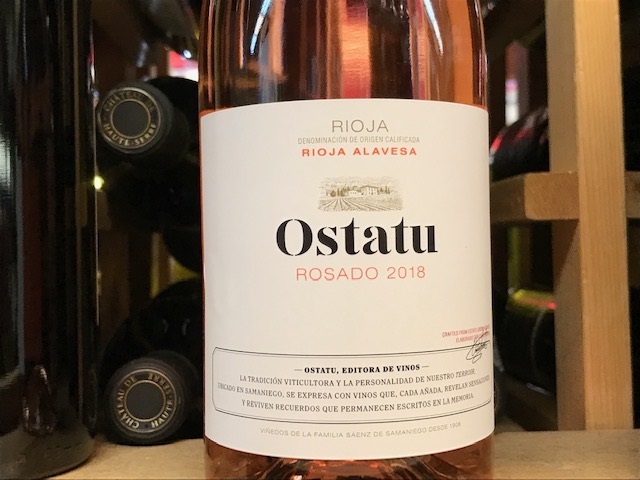 Bodegas Ostatu Rosado 2018 is here ($15.99) 70% Tempranillo, 27% Garnacha, 3% Viura from grapes grown in Ostatu’s oldest and highest-elevation vineyards. Fermented in stainless steel, this rosé is a light salmon color and equally light on the palate. Floral aromas have notes of wild red fruit and are laced with mineral notes. 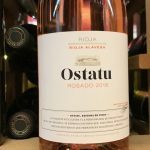 One of my favorite rosados, Ostatu rosé is refreshing, elegant, thirst quenching, and really delicious. Bodegas Ostatu practices organic viticulture. 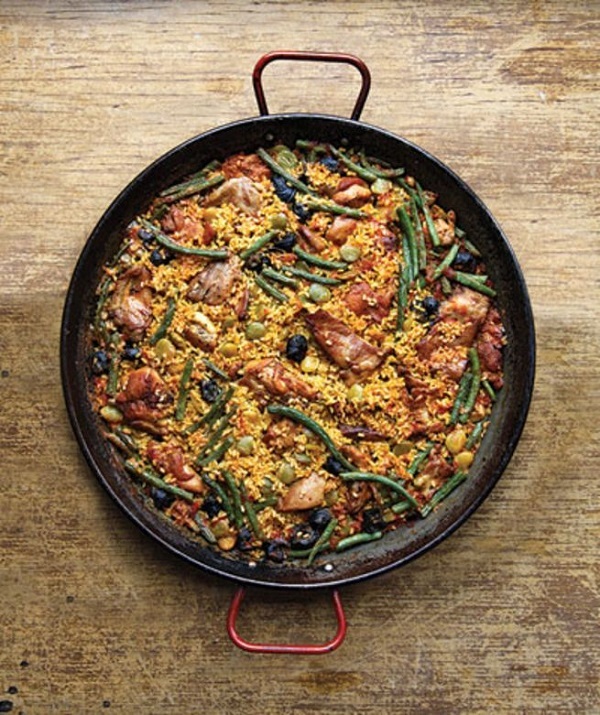 We include our classic paella “mixta” recipe with purchase of a paella pan (or by request). 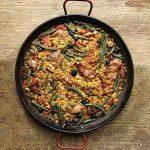 The recipe below is from The Spanish Table cookbook by Steve Winston, and is a delicious alternative to paella mixta with the sherry adding a nutty flavor. 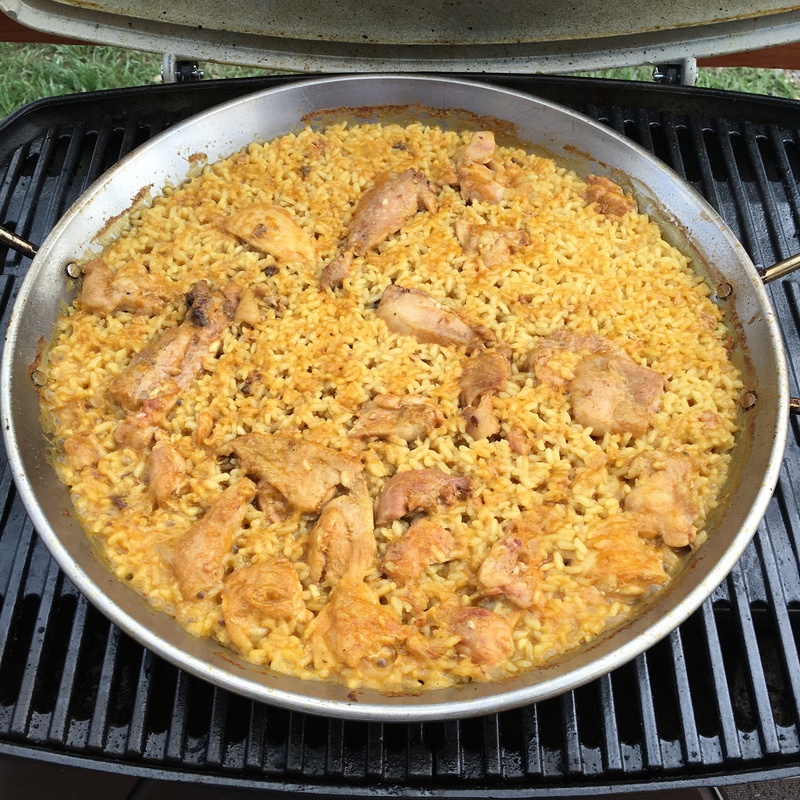 Heat the olive oil in a 12 inch paella pan and brown the chicken. Add onions and sauté until wilted. Add chorizo and cook until fat is released. Bring to a boil, when Amontillado is absorbed by the rice, add chicken stock, reduce heat and simmer until rice is done, approximately 20-25 minutes.